The Virginia Mayhew Band CD Release "Mary Lou Williams - TheNext 100 Years". Virginia's Saturday, Nov. 3rd, 2012 performance from 7:30-10 p.m. will featire her quartet with trombonist Noah Bless, bassist Harvie S, and drummer Andy Watson. The quartet will be performing new original music, as well and a few tunes from her latest CD, Mary Lou Williams - The Next 100 Years. With no chordal instrument, this group has a quite different sound from Virginia's other groups, and is a lot of fun! A native of San Francisco, Virginia came to New York to enroll in the New School's Jazz Performance program, and was awarded its Zoot Sims Memorial Scholarship. Hines, Cab Calloway, Frank Zappa, James Brown, Norman Simmons, Al Grey, Junior Mance, Toshiko Akiyoshi, Doc Cheatam, Joe Williams, Leon Parker, Clark Terry, Terry Gibbs, Kenny Barron, Chico O'Farrill, Dena DeRose, Ingrid Jensen, Claudio Roditi, and many others. Virginia has appeared in most of the City's jazz venues, including the Blue Note, the Village Vanguard, the Village Gate, Sweet Basil, Sweet Rhythm, Birdland, Carnegie Hall, the Jazz Standard, Lincoln Center, and Town Hall, as well as performing throughout the United States, Europe, the Newly Independent States, the Caribbean, Bermuda, Australia, and Southeast Asia. Virginia has performed at many jazz festivals as a leader, including the Monterey Jazz Festival, JVC Jazz Festival, Floating Jazz Festival, Verizon Jazz Festival, Mary Lou Williams Jazz Festival at the Kennedy Center, San Francisco Jazz Festival, San Jose Jazz Festival, East Coast Jazz Festival, Panasonic Jazz Festival, Guinness Cork (Ireland) Jazz Festival, Verizon Music Festival, Perth International Arts Festival, Melbourne Jazz Festival, Llangollen International Music Festival, Jazz At Sea, and other smaller festivals. Kazakhstan, Moldova, Armenia, Belarus, Ukraine) featured the music of Louis Armb, and the second (2003 to Southeast Asia (Thailand, Laos, Viet Nam, Malaysia, India and Bangladesh) demonstrating the Latin and Brazilian influence on Jazz Music. In addition, Virginia has established her credentials in the field of jazz education, both as a teacher of private students, as faculty at numerous jazz camps, (including Stanford Jazz Workshop, Monterey Jazz Festival summer camp, and Jazz Camp in Pescadero, CA), and as an experienced clinician and Artist-In-Residence, (including Univ. of Mass, Univ. of Louisville, Bloomington Univ. and others). She has traveled around the U.S.A. working as an adjudicator, teaching master classes, and working with school ensembles large and small. 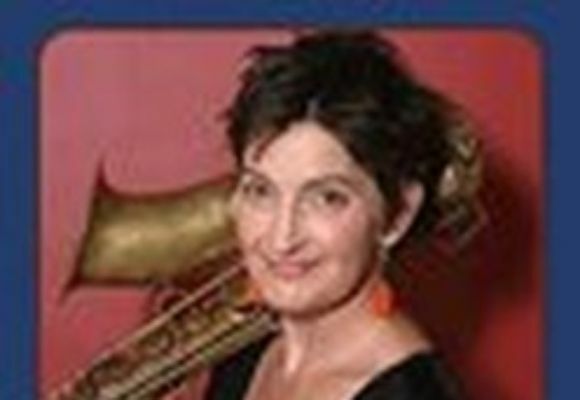 She teaches at the Greenwich Music House, a 100-year-old community music center, where she is the director and founder of the Greenwich House Jazz Workshop. Her own quartet performed at the 2002 IAJE Conference to rave reviews. concert, which was part of Jazz At Lincoln Center. In addition to leading her own groups for over 25 years, Virginia is the Musical Director and saxophonist of the Duke Ellington Legacy, a 9-piece group led by Ellington's grandson, Edward Kennedy Ellington II. The Ellington Legacy is dedicated to keeping Ellington's music through performances in schools, retirement communities, prisons, public concerts, and clubs, and concert halls.